With strikingly naturalistic illustrations by Bruce Potter, this is a treasure of a book that will be loved by generations to come. 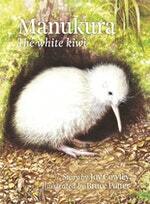 Love Manukura: The White Kiwi? Subscribe to Read More to find out about similar books.